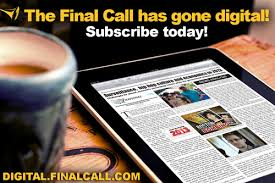 (FinalCall.com) - Movies are fiction, not fact and fiction comes from the minds of people with motives, aims and agendas. 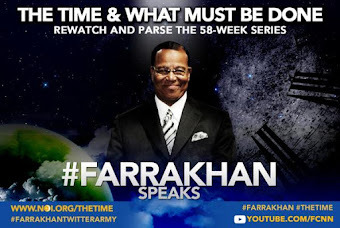 It would be a critical mistake to miss take the Lifetime movie Betty and Coretta as fact and a critical error to accept it and its wicked mischaracterizations of the Honorable Minister Louis Farrakhan as anything other than lies and misrepresentations. Min. Farrakhan unequivocally had nothing to do with the murder of Minister Malcolm X, though he has admitted speaking into an environment created by the enemy to disrupt and destroy Black movements as Malcolm X turned against his teacher and leader, the Honorable Elijah Muhammad. Harsh words were spoken by those who took sides in a split welcomed and fostered by the U.S. government through the Counterintelligence Program of the Federal Bureau of Investigation and J. Edgar Hoover. Those who sided with Malcolm spoke against Elijah Muhammad and those who sided with Messenger Muhammad, including a blood brother of Min. Malcolm’s, spoke against their former comrade in the struggle. “We didn’t voluntarily split from each other. There was manipulation. There was stimulation of our own pettiness, of our own weaknesses by outside forces and the government is that outside force. The FBI is that outside force. So Betty and I shouldn’t be here alone. The government has to answer for what has happened. We know the hurt of the prominent ones among us. But what about those other families? Families of the unnamed ones that are broken to pieces. Daughters who were virgins destroyed. Young men and women that had hope in a movement destroyed. Thousands of lives ruined because the government feared our unity. We carried no weapons. We threatened no laws. We broke no laws. But because we had an ideology and a philosophy that the government did not like we were targeted by the government. They didn’t need laws passed by Congress to tap our phones, to follow us around, to harass us day and night,” said Min. Farrakhan, in 1995 at the Apollo Theater in New York. In the end, there was an unfortunate death that created a wound inside Black America that has never healed. 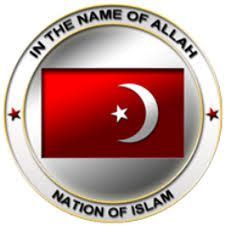 It is a wound that those truly responsible for the death of Malcolm X, and who are his actual killers, have tried to exploit as Louis Farrakhan has grown in influence and restored the Nation of Islam after its destruction. So the Lifetime movie, Betty and Coretta, pointing the finger at Min. Farrakhan as involved in the death is purposely false. It is another attempt to defame Min. Farrakhan and incite murder for him in the hearts of the ignorant and set the stage for his murder by a government tied to the murders of Malcolm X and Dr. Martin Luther King. Both men were considered enemies of America and were under surveillance until their deaths. A government informant and police officer, Gene Roberts, was on stage with Malcolm X when he was shot. According to one biography of Malcolm X, agent Roberts’ first assignment was to infiltrate the newly formed Muslim Mosque Inc., founded by Malcolm X. A military defense agency was in Memphis tracking civil rights leader King when he was killed. A noted civil rights photographer, with tremendous access to Dr. King, has also been identified as a government informant. Facts not fiction. The women involved in the movie, including Mary J. Blige, are not the enemy; they are actresses who are likely doing their best to portray two Black women important to the struggle of Black America. But the enemy remains those forces against Black liberation and in particular members of the Jewish community who have fought Min. Farrakhan since his 1984 defense of Rev. Jesse Jackson for remarks made about Zionists, Israel and Palestinians while running for president. From that opening salvo the Jewish onslaught has been relentless and largely unproductive in moving the Black masses away from Farrakhan. And at one time it was easy for these Satanic demons to use the “Farrakhan Litmus” test to scare away Black leaders, politicians and activists but it is a little harder today—though sadly some still kowtow to Jewish masters. More evidence that we need to separate fact from fiction: The portrayal of the main characters in the movie has even brought criticism from the families of the late Dr. Betty Shabazz and Coretta Scott King. Neither family, and certainly not Min. 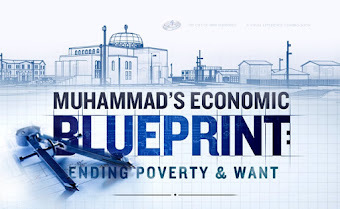 Farrakhan and his family, were allowed to play a part in making the movie or influencing it. Why not? When a person has an evil motive and an evil mission, the last thing they want is for someone with knowledge and truth to have access to their product. It creates another hurdle and could disrupt their plan. If complaints from the families of the principals came out before the film, it could raise pre-release doubts. If the criticisms came out before the film, many would not watch and others would watch with an awakened eye. Speaking after its release puts those armed with truth in the unenviable position of chasing the lie which has spread halfway around the globe before the truth gets started. The fiction also plays into the narrative of a Farrakhan-Shabazz blood feud. This is a dangerous lie and totally omits steps toward reconciliation between the widow of Malcolm X and the minister of the Nation of Islam in 1995, following a U.S. Attorney’s indictment of one of the daughters of Malcolm X and Dr. Shabazz. Qubilah Shabazz was charged in a murder for hire plot against Min. Farrakhan. I was personally sitting with Min. Farrakhan at his home at one point as media coverage of this January 12, 1995 federal indictment exploded. He said publicly later what he said to me privately: Qubilah Shabazz was the smallest part of any conspiracy against him. He knew both he and she were victims. With the media camped out outside his home in Chicago, the Minister had his chief of staff make a statement to the press. 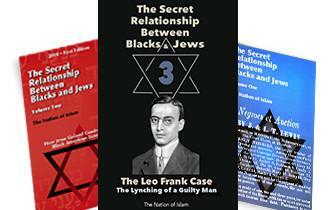 Leonard Farrakhan Muhammad emphatically stated that the FBI was no friend of Farrakhan, nor the Black community, and demanded everything about the indictment be released—and declared forcefully that nothing should happen to the Shabazz family. The Minister also demanded once again that all the government files related to plots, surveillance and the murder of Malcolm X be released. Those files are still unreleased. Fact not fiction. Qubilah Shabazz had been lured to Minnesota by a onetime schoolmate, Michael Fitzpatrick, who was also Jewish and a government informant. Instead of finding a new life, she found herself under indictment for a murder plot. Informant Fitzpatrick also had a onetime affiliation with a radical Jewish organization. Ms. Shabazz was facing a possible 90 years in prison and $2.25 million in fines if convicted. Dr. Betty Shabazz said “her daughter was framed, The Associated Press reported. ‘It is unfortunate that anyone would do that to a young woman,’ she said. ‘And it says how quick people are and how they will do anything to get their political ends,’ ” the New York Times reported January 13, 1995. I went to Minnesota to cover the initial hearing for Qubilah Shabazz but the Minister’s blast of truth was so powerful, the false case crumbled. A deal was quickly brokered and the Apollo event that was supposed to be a legal fundraiser turned into a celebration. It was billed as “A New Beginning.” Steps were taken toward reconciliation. I saw the warm hug from Nation of Islam First Lady Khadijah Farrakhan as she embraced her sister Dr. Shabazz. To me the love was palpable, it was genuine, it was deep and it was real. She and Dr. Shabazz sat together at the Apollo. 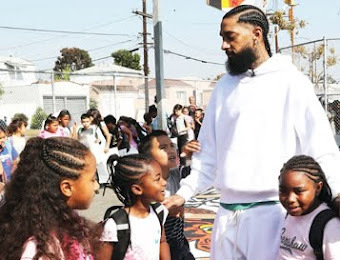 I watched as a young member of the Junior Fruit of Islam presented Dr. Shabazz with a lovely bouquet of flowers and I felt the joy in seeing another plot of the enemy dispatched. Fact not fiction. “ ‘Minister Farrakhan, may the God of our forefathers forever guide you on your journey,’ Betty Shabazz said to cheers from more than 1,000 people at the Apollo Theater in Harlem,’ ” the Los Angeles Times reported of the May 6, 1995 event. “She also thanked Farrakhan for his ‘gentle words of assurance’ for her daughter, Qubilah Shabazz, who was accused in January of hiring a hit man to kill Farrakhan. 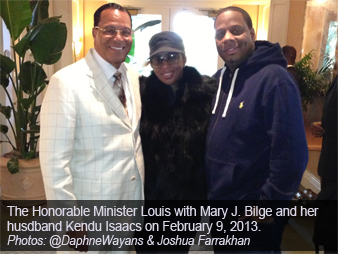 Farrakhan has defended Qubilah Shabazz, saying be believes she was entrapped by a federal informant. As Betty Shabazz left the stage, Farrakhan shook her hand and began his speech,” the Los Angeles Times said. By October 1995, Dr. Shabazz was one of the select mothers of Black America who spoke at the Million Man March in Washington, D.C., convened by Min. Farrakhan. Fact not fiction. Lastly, there is no statute of limitations on murder, which the government knows. 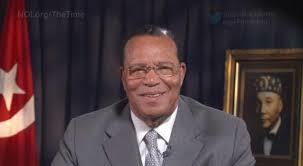 If you have evidence of a murder by Louis Farrakhan, charge him, arrest him, try him. But you have nothing except wicked lies and fiction which you hope to impose on people who don’t know the truth. Your lies won’t win today and we, by Allah’s grace, will never cease in our defense of an innocent man and the truth. Fact not fiction.